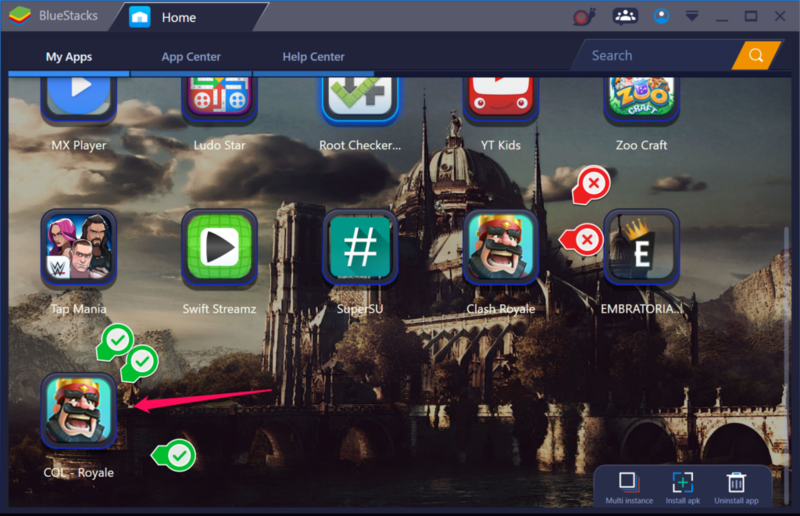 Today we are here to let you know how to download and install Clash Royale hack for PC BlueStacks player which is loaded with unlimited coins, gems and money for your game. This new hack will let you connect with a working private server and have a blast at the start of the game. For all of you who have been tired of visiting all those fake claimers who always say they will come up with the best or 100% working hack for Clash Royale PC and yet all you got are some of those useless surveys which lead to nothing but a whole waste of time. 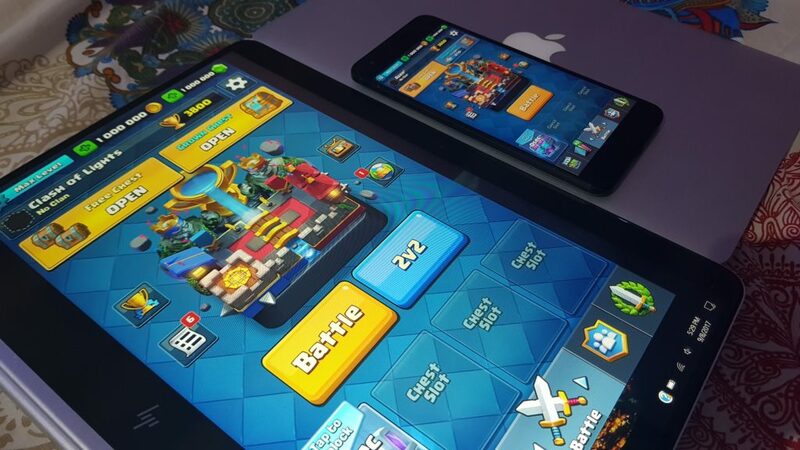 There are no such online hacks for the Clash Royale so far, but there were some tools which can be used to temporarily add some coins to your account, but later the developers behind this game caught some of the users who had used these tricks and suspended their accounts. So if you want to get the pleasure of unlimited coins and money hack in the game you have to turn to a private server. But finding a proper working private server is damn tough job. Somehow we are here with the solution. 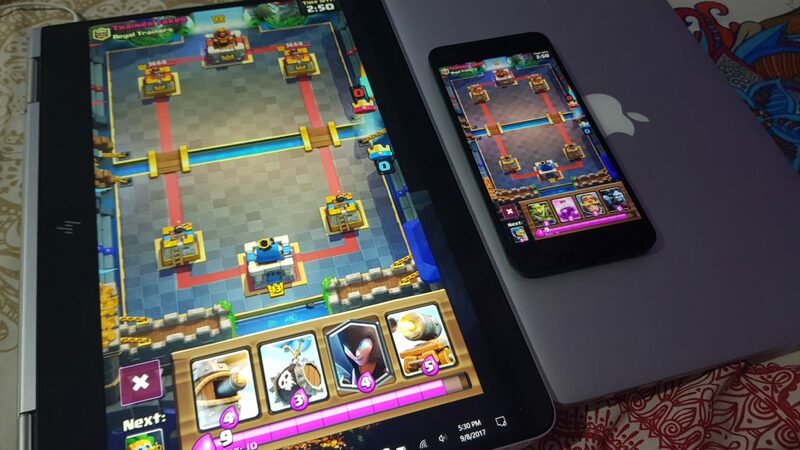 You can download COL -Royale which stands for Clash of Lights, it’s a 3rd party CR developer who have assigned a great server for the game and named it Clash of Lights or in short COL. You can download their modified Clash Royale hacked apk file on any working Bluestacks player and enjoy the game as being a champion at start. So here are some of the main features of this Clash Royale Hack for PC or in other words the modded version of Clash Roayle. Once all coins and money spent, You can restart the game to get a full load of resources again. Super Fast and responsive servers. First of all you need to have a Bluestacks app player installed on your PC running Windows 10, 8, 7 or even XP. If you are using a Mac OS, you can get the BlueStacks for mac as well. Both links given below. 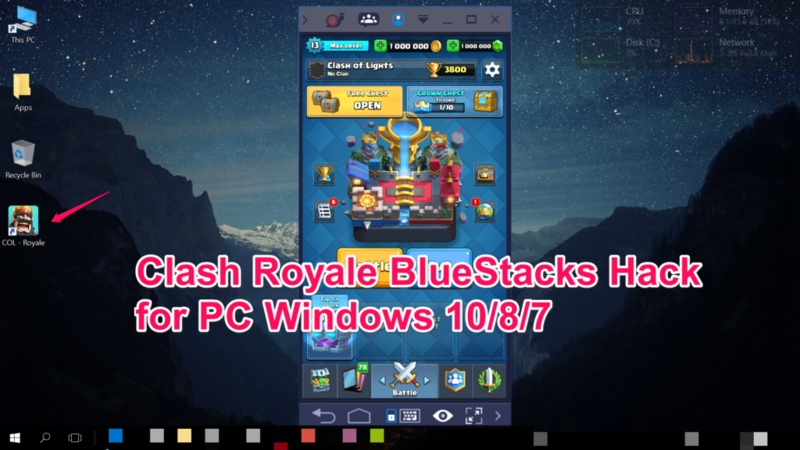 Now once you have downloaded and installed BlueStacks 3 for PC or Mac, All you need to download this modded version of the Clash Royale game which is called Col Royale. You can simply search for it on google or head to the given link below to download it from the official website. 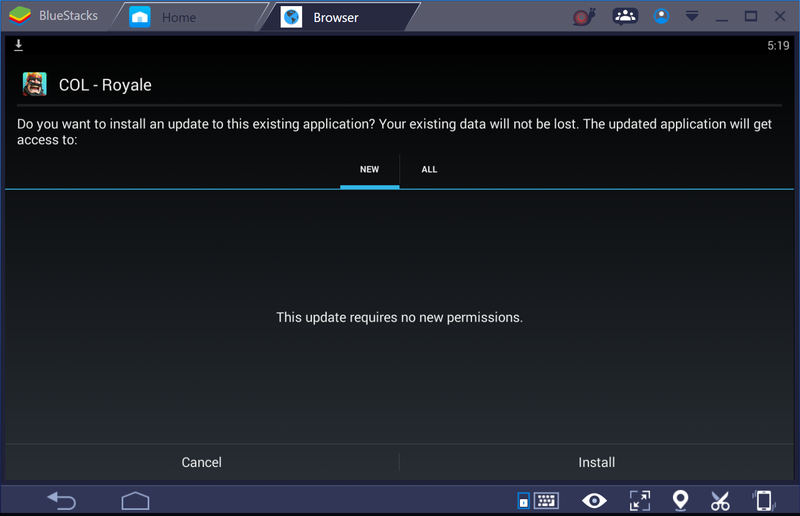 Once done simply open the BlueStacks app player and install this apk file on it. 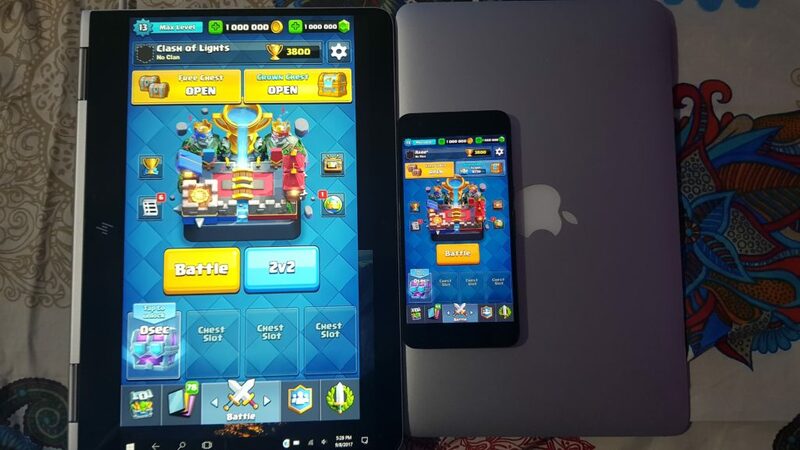 It will takes some 10-15 seconds and here you are…..
You can also download this modded Clash Royale Apk file on your Android smartphone and enjoy playing the game as seen in images below. Hope you have liked this new trick. If so, kindly share it with your friends or on social sites. You can also get the Clash 0f Clans modded version. We are going to post next. Legendary: Game of Heroes v1.9.1 mod apk with unlimited coins and unlocked cards. Top 16 Free and paid Anime Streaming Sites for September 2017.